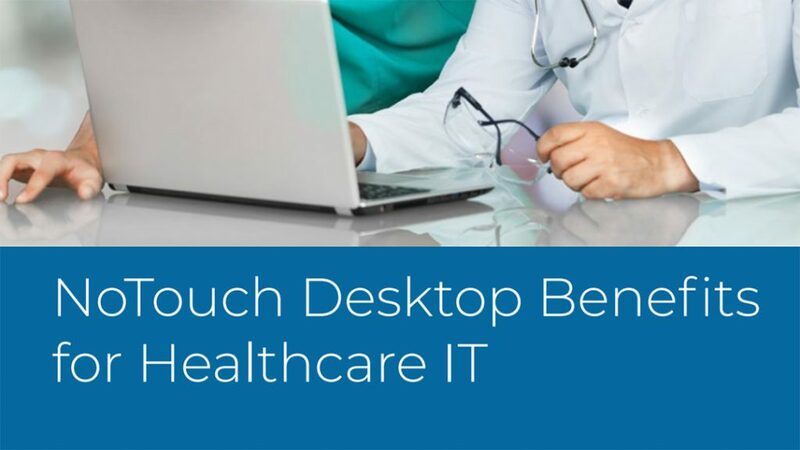 Healthcare IT traditionally faces unique challenges deploying and managing virtual desktops throughout organizations. Strict regulations, budgets, and requirements to remain flexible and allow mobile workers and BYOD create significant challenges for Healthcare IT. Another challenge, and perhaps the greatest of these, is doing all of the above while also ensuring the highest security standards. This paper seeks to explore effective strategies that cut costs while increasing security, performance and solve other challenges facing IT system administrators in managing and controlling their network of endpoint devices.